Spare parts Almost everything, incl. drives, planar, etc. 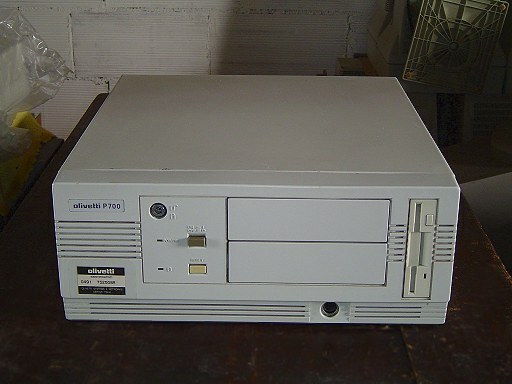 Another identical unit is shown here. (*) This machine is a remarketed Memorex Telex 7270: the "7270" label is still attached on the front panel, while the original large stain sticker from Memorex Telex is attached on the rear (in fact, serial number belongs to Memorex Telex). (**) I suspect that the countless 9126 and 9133 stickers attached almost everywhere inside the machine belong to Memorex-Telex and Olivetti resp. (***) Available hard disk configurations were 45, 105 or 338 Mb ESDI, and 136, 182, 330 or 420 Mb SCSI.